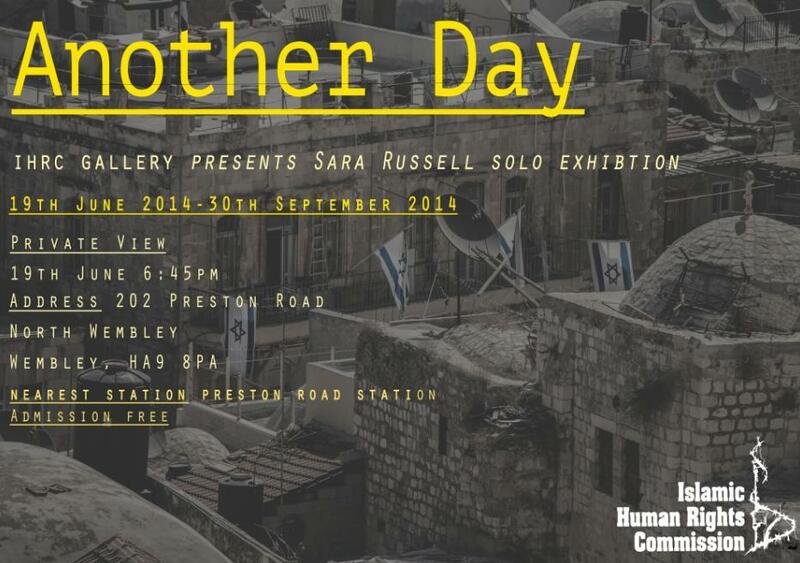 Another Day is photographer Sara Russell’s first exhibition. It features her documentation of Palestine – the capturing of fleeting human emotion in an occupied nation. Each photograph manages to combine the facets of struggle of a people living their lives under siege. Sara embarked on her trip to Jenin in the north of Palestine as part of a group which included London Tower Hamlets’ deputy mayor Cllr Ohid Ahmed as well as several other independent councillors. The trip involved visiting numerous organisations and villages across the region and talking with recently released prisoners. Kerie Anne of UNISON described how the group was “humbled by the resilience and commitment of Jenin’s residents to building their communities and resisting the occupation.” Sara’s photography is reflective of this notion. She documents the normal and the everyday in a complex nation. The exhibition is laid out as a narrative – unfolding just as Sara’s own experience did. With these images, the familiar becomes the unfamiliar. The dynamic layout of the IHRC bookshop and the first-floor gallery allows for this. Nothing is hidden and passers-by are able to immediately interact with the photographs. The exhibition then moves to the gallery, located on the second floor of the building – a space which also hosts various events ranging from film screenings to panel discussions. It means that an array of different audiences will have access to the images. In the past the Islamic Human Rights Commission’s gallery has hosted the likes of Intifada Street’s Mohammad Hamza, Nasreen Jamal al-Lail and Naazish Chouglay of Labbaik Arts among others.